The HID goID™ platform for mobile IDs is the first to enable secure over-the-air provisioning of citizen IDs to their closest and most convenient confidant … their smartphone. While improving the user experience, HID goID™ extends trust and security to offline mobile credential authentication and enables secure access to cloud-based government services. The platform is powered by HID Global’s Seos® technology that has already been proven in mobile credentialing for enterprise, healthcare, hospitality, university and banking deployments. 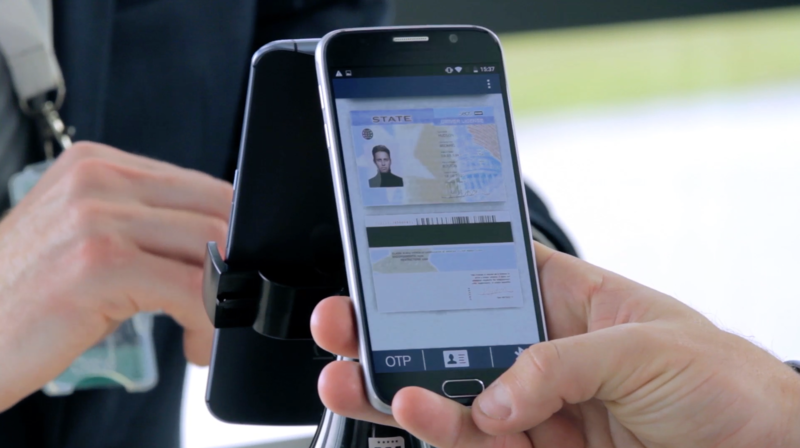 AUSTIN, Texas, April 7, 2016 – HID Global®, a worldwide leader in secure identity solutions, today announced it has entered the market for mobile citizen IDs that can be carried on smartphones, leveraging the success of the company’s award-winning solutions that have proven the benefits of mobility across a wide variety of secure identity applications. The HID goID™ platform for mobile IDs enables driver licenses and other government IDs to be carried on smartphones that become all-in-one devices for receiving, presenting and authenticating mobile IDs with the highest level of privacy protection. This marks a new era in which individuals will be able to confidently use their smartphone as their secure, trusted ID, and governments can reach a new level of convenience in issuing IDs and extending their relationships with citizens. Powered by HID Global’s breakthrough Seos® technology, the HID goID™ platform for mobile IDs goes much further to enable instant over-the-air provisioning and streamlined access to cloud-based government information services with the assurance that all transactions are secure and trustworthy. This ensures all transactions related to issuing, managing and presenting credentials using mobile phones are conducted in a highly secure, closed-circuit environment protected by end-to-end encryption. Seos technology has already demonstrated the transformational power of mobile IDs in numerous applications, and there is growing demand for this capability to provide the equivalent of a digital wallet for carrying multiple identities tied to the user’s one true identity. A Zogby Analytics poll of 18- to 34-year olds who have smartphones revealed that 39 percent would like to verify their identity with a digital ID instead of showing a driver’s license. With IDs on smartphones, citizens are in control of the data made available in different scenarios, such as only showing a person’s photo and age. HID Global is now engaging with national governments and state and provincial driver’s license agencies about the possibility of launching goID™ pilots that will explore each jurisdiction’s specific platform deployment objectives and requirements. The solution will eliminate the need for people to stand in lines for new cards and renewals. Key focus areas include: preventing fraud through authentication over secure channels; optimizing flexibility for online authentication if a citizen’s smartphone battery is dead; simplifying issuance through over-the-air provisioning as already proven at universities, banks, hotels, hospitals and other institutions leveraging Seos® technology; and protecting privacy by utilizing a smartphone’s Bluetooth connection so users can electronically present their credentials without physically relinquishing their smartphones. To watch the HID goID™ video, click here. The HID goID™ launch is a key element in the company’s broader mobility initiative aimed at creating a more convenient, trusted and secure user experience in today’s increasingly connected and mobile-first world. To read about HID Global’s mobility initiative, click here. Visit HID Global’s booth for a wide range of mobile security demonstrations, along with the company’s broad portfolio of solutions for creating, managing and using secure identities. Visit our Media Center, read our Blog and follow us on Facebook and Twitter. HID Global is the trusted source for innovative products, services, solutions, and know-how related to the creation, management, and use of secure identities for millions of customers around the world. The company’s served markets include physical and logical access control, including strong authentication and credential management; card printing and personalization; visitor management systems; highly secure government and citizen ID; and identification RFID technologies used in animal ID and industry and logistics applications. The company’s primary brands include ActivID®, EasyLobby®, FARGO®, IdenTrust®, LaserCard®, Lumidigm®, Quantum Secure, and HID®. Headquartered in Austin, Texas, HID Global has over 2,700 employees worldwide and operates international offices that support more than 100 countries. HID Global® is an ASSA ABLOY Group brand. For more information, visit http://www.hidglobal.com. ® HID, the HID logo, HID goID and Seos are trademarks or registered trademarks of HID Global or its licensors in the U.S. and/or other countries. All other trademarks, service marks, and product or service names are trademarks or registered trademarks of their respective owners.